Use WhatsApp on your PC without Android emulators! Until now it was practically impossible to be able to chat with your WhatsApp contacts from your PC. WhatsApp doesn't have a version for these systems, and the only solution was to use an emulator, a rather unstable and complex method. ThatsaPC allows you to send and receive WhatsApp messages from your PC without any problems. You only need an active WhatsApp account and the IMEI number of your phone. 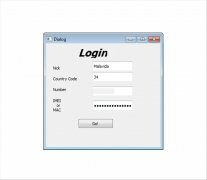 Install the application, type in the data and you will have the client running perfectly on your computer. Keep this information safe, as this is sensitive material that only you should know if you don't want to have unpleasant surprises like losing your WhatsApp account. Send and receive WhatsApp messages from and on your PC. Modify your nick and your status. Now, with ThatsaPC you won't always have to resort to your phone as the only way to be able to talk by WhatsApp. 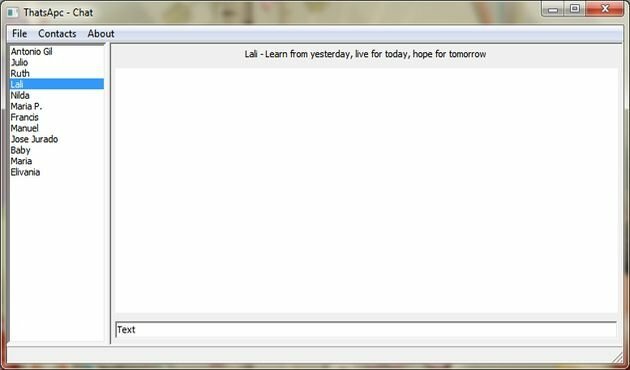 Download ThatsaPC for free and you'll be able to chat from your Windows desktop.